“Beatriz at Dinner” (2017). Cast: Salma Hayek, John Lithgow, Connie Britton, David Warshofsky, Amy Landecker, Jay Duplass, Chloë Sevigny, John Early, Enrique Castillo. Director: Miguel Arteta. Screenplay: Mike White. Web site. Trailer. Healer and massage therapist Beatriz (Salma Hayek) gives her all to her patients. She freely offers up her ample compassion to others, spontaneously hugging everyone she meets, be they clients, strangers or the pets she so lovingly adores. But, when it comes to the fulfillment of her own needs, she’s totally without demands or expectations, willingly deferring to whatever others have to give and gratefully expressing her thanks for their offerings. Beatriz sincerely appreciates whatever blessings come her way. Having emigrated to California after growing up under harsh conditions in Mexico, she’s thankful for her current life, which accounts for the boundless generosity she readily dispenses. She’s highly adept at bestowing her therapeutic gifts, something she believes is essential for healing not only her charges but also a planet much in need of such restitution. She sees it as essential for a world whose disconnected residents must overcome their sense of isolation to realize that they’re all part of a larger, integrated whole. That’s difficult, however, when others don’t share that view, as Beatriz is about to discover when she’s unexpectedly extended an invitation to an upscale social event. 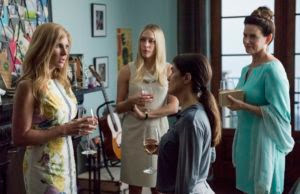 While on a house call to massage one of her regulars, wealthy Newport Beach socialite Kathy (Connie Britton), Beatriz experiences car trouble, effectively stranding her at her client’s estate. Beatriz is flustered, but Kathy comes to her aid, offering her assistance, including dinner and even a place to stay for the night if needed. Dinner, however, is more than just a casual meal; it’s a high-brow, elegant dinner party thrown by Kathy and her husband, Grant (David Warshofsky), to celebrate the closing of a lucrative business deal. However, because of differences in class, social standing, background and outlooks, Grant is concerned that Beatriz will be out of her element, even suggesting that she should eat by herself, away from the festivities. But Kathy insists that Beatriz be allowed to attend given everything that she has done for her and her family, including lovingly caring for their teenage daughter when she successfully battled cancer. After the guests arrive, however, Grant’s apprehensions would seem to be borne out. 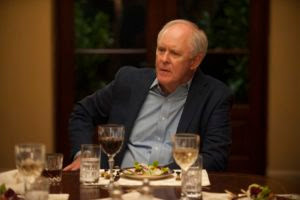 Those in attendance include high-powered hotel developer Doug Strutt (John Lithgow) and his trophy wife, Jeana (Amy Landecker), and Grant’s attorney, Alex (Jay Duplass), and his ambitious spouse, Shannon (Chloë Sevigny). And, of course, there’s Beatriz, who’s often ignored or mistaken as one of the help by the other guests. Ever the gracious hostess, Kathy does her best to make sure Beatriz feels welcome and included in the conversation. But, given her vastly different background and sensibilities, the unexpected dinner guest quickly feels out of place, despite her valiant efforts to fit in. As dinner progresses, the differences Grant was concerned about begin to surface, with the event gradually turning into a battle of wits between the haves and have-nots. For example, in crassly boasting about his accomplishments and the sometimes-drastic measures necessary to bring them into being, Doug manages to offend Beatriz at every turn, especially when she suspects that he may have been responsible for some of her own past hardships. She does her level best to express her views about the need to take a holistic approach to life and community, but she’s summarily rebuffed before she’s able to fully explain her viewpoint. With the ante perpetually amped, tensions continually rise, eventually making the event anything but a party. The dinner thus becomes a microcosm of the current state of our culture, with implications that have impact socially, politically and economically. It aptly reflects the animosity that exists at the opposite ends of these spectra, providing us with a clear reflection of where we’re at, one that’s sure to make many of us squirm uncomfortably in our seats. It also raises ideas about how to respond to these circumstances: Do we give in to violence and revenge? Or do we pursue alternative paths, courses aimed at promoting healing and helping to bring about a much-needed sense of reconnection? In doing so, the film shines a bright light on our power of choice, how we might consider employing it and what it means for all of us based on the options we select. Most importantly, however, the film draws attention to our lost sense of connectedness, one of the guiding principles in conscious creation practice, the philosophy that maintains we manifest the reality we experience through the power of our thoughts, beliefs and intents. 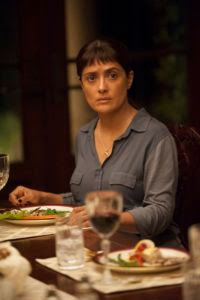 Our prevailing failure to recognize this, supported by entrenched beliefs that perpetuate it, place us in an increasingly precarious position in numerous ways, an argument that Beatriz desperately seeks to put forth to the assembled guests. Unfortunately, her message falls largely on deaf ears, and even those who are paying attention offer little more than lip service. 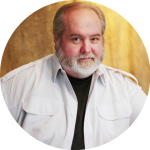 Interestingly, several of the guests, like Doug, recognize that we truly manifest our own destiny, that we’re the ones responsible for bringing what we experience into being. But how we direct the focus of our beliefs determines what results. Most of those present have chosen to employ this practice for personal gain and wholly self-serving ends. They pay little heed to the needs of the collective, sometimes even inflicting harm on others if that’s what it takes to get what they want. Some would call that disgraceful, but, then, that shouldn’t come as any surprise for those who fundamentally fail to recognize our intrinsic connectedness or to formulate beliefs that support such a notion. Needless to say, this leaves Beatriz frustrated. What is she to do to get the blind to see? If she adopts beliefs that call for drastic, forceful measures, is she really any different from those whose actions and viewpoints she so thoroughly loathes? But, if she does nothing, she’s not doing anything meaningful to rectify the prevailing circumstances, either. So what’s the answer?  Whenever we face conditions like this, if we want to come up with an effective solution, we must do precisely what this materialization philosophy calls for – getting creative. We need to think in terms that we’re unaccustomed to, searching for and then envisioning possibilities we may have never tried or even considered. Some of those options might seem a bit extreme compared to what we’ve typically done, perhaps even calling for acts of self-sacrifice. But, if they help to get us the results we seek, we should give them serious consideration, especially when it comes to such crucial issues as reshaping the paradigm that promotes our awareness and adoption of our inherent unity. And, given the potent force that Beatriz is, she just might come up with what we all need to achieve that goal. At times brilliant, at times frustrating, “Beatriz at Dinner” gives viewers much to ponder both practically and metaphysically, a rare fusion for a film these days. This dark, satirical comedy-drama also manages to maintain a fair amount of suspense at an event that would seem an unlikely setting for such a narrative quality. (Who would have thought that a dinner party would give us so much to think about?) Hayek gives one of the year’s best lead actress performances thus far, more than adequately backed by a superb ensemble of supporting players, especially Lithgow. Admittedly, it’s a little disappointing that the film draws upon a plot device that’s been used before to wrap things up, even if it’s employed in a way not previously seen. 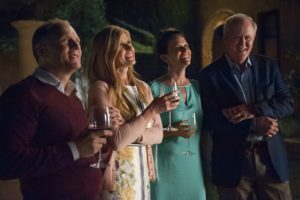 But, this disappointment aside, “Beatriz at Dinner” gives us much to think about at a critical juncture in our country’s – and our reality’s – history. Losing sight of our innate bonds to everyone and everything is something we do at our peril. Thankfully, though, there are souls like Beatriz to remind us of this and the need to restore our awareness of it. It’s a message we’d be wise to take seriously lest we pay a high price for our own willful ignorance.